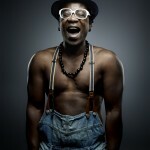 BLICK BASSY chosen as the music of Apple’s worldwide campaign for iPhone 6 ! 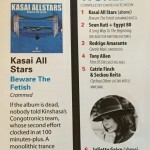 KASAI ALLSTARS last release part of the MOJO’s 50 Best Albums Of 2014 ! Launch of Tour Makers ! !